I put together a little energy and mojo yesterday to make a couple of cards for Unity's Hip Hop. If you have gone to Hip Hop, WHAT ARE YOU WAITING for? It's soooo fun! We hang out in the SCS forum, have challenges, prizes are given away, and there's lots of fun chatting with a group of amazing ladies. These cards are for Mandy's collection of cards that are going to go to the kids in the hospital. I sure hope that the kids like these cards! It's kind of hard to make cards that fit challenges and work for kids cards. But I think I am managing. I'm going to try to put together more cards today. Hopefully I can find some mojo. I'm not going to work today. They are having a field trip and lots of parents are going so I'm not really needed. That and I'm just exhausted! These are perfect! 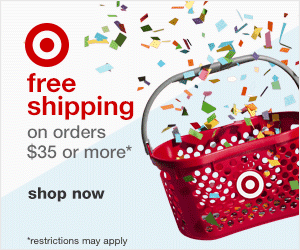 And for my giveaway...you are doing it exactly right! You're gonna be a busy girl today! But you can leave the extra post or the person who you sent can just leave two saying it's for you! :)( Either way! Oh these are just wonderful!!! I LOVE that whale and the dewdrops!! 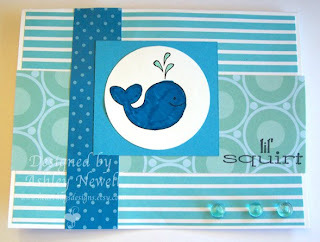 These are so cute - I love the shades of blue on the lil' squirt card!! Hope you feel better soon! !